We are so excited to share in these teachings in this amazing modality. Over the past few years we have now hosted these trainings nationally all over Canada and internationally in our spiritual home in Peru. And have experienced such amazing feedback over time. This is an amazing training for anyone with an open mind and open heart willing to explore this modality to be used in service. 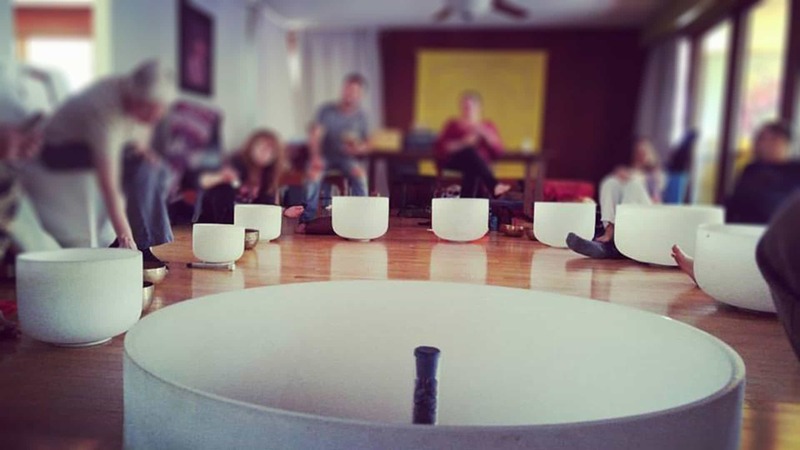 We offer a very unique approach, as though we go over the science of sound, practice tools, and sound healing instruments. we also have a unique experience of sitting and training with one of the oldest tribes in the amazon who are masters of sound healing, woven into the tapestry of culture and deep connection to the earth. Sound is considered to be one of the oldest modalities of healing. Taking a shamanic perspective that is rooted beyond culture, and dreaming in a new culture that sees our bodies as interconnected and woven with all of life. Courting the altered state through sound and music we allow ourselves to be open to understandings that reality is very much indeed a subjective experience. And in these altered states we may receive insight and understanding that can aid in healing, release, grow and open our hearts. This 3-day intensive training will explore the power of sound to move and transform energy as you move through direct experience of attuning to sound vibration and practical techniques in application. This workshop is HANDS-ON, VOICES-ON, EARS-ON! Sound therapies are known to reduce stress and anxiety, create a more balanced immune system, enhance overall sense of well being, of relaxation and has been shown to be effective in the treatment of various diseases and physical ailments, especially when used in companionship with other therapies. The effect of sound and awareness practices have been utilized by esoteric and shamanic traditions throughout time. This workshop will support you to listen to, hear and use sound, silence and listening in a new way. Sound and Music directly affect us each and everyday, and as we begin to apply this knowledge and experience to our daily lives, with practice, we can begin to consciously affect our life experience with sound and music. This course can support you in your own personal journey with sound as well as complement various healing practices. Jeremy Sills is a gifted Singer/Songwriter with a B.A. 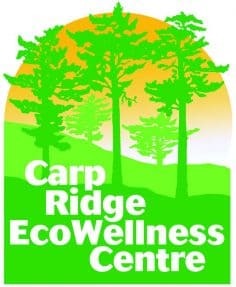 in music from Carleton University, & 15 years of training and exploring the healing power of sound. Having trained with Barclay McMillan, Joy Gardner, Norma Gentile, Tom Kenyon, and others, Jeremy has developed a mystical healing voice and sonic awareness that inspires the deep and silent space within each of us how to remember. As spontaneous co-creations, his crystal bowl concerts weave a deep tapestry of high vibration frequency, in which profound awareness, transformation and healing may occur. 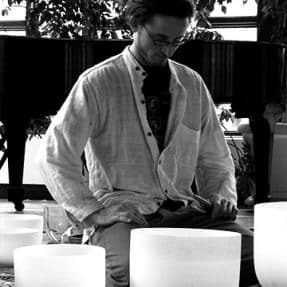 For the last 6 years, Jeremy has studied the ancient shamanic healing practices of sound healing, through Icaros; the songs of light of the spirit world in the Shipibo traditions of Peru. Athena Naia has studied natural healing, and forms of shamanism for many years. Sourcing wisdom from elders, wisdom keepers and medicine people in north and south America, apprenticing to the traditions of the sacred. She also has been working with plant medicine and powerful healers in Peru since 2009 and still travels extensively to host and facilitate retreats with Indigenous grandmother Curanderas. 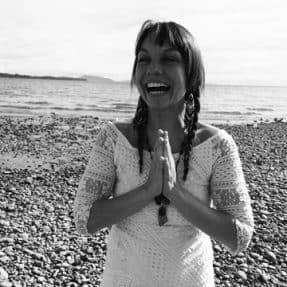 She has experienced complete miracles in her own sound healing practice and is big believer in the potential it carries in creating more whole and connected ways of being. She runs earth elemental healing, a practice that has supported many people on their life journey. She also facilitates classes, workshops, rituals, ceremonies and women’s mystery work. Among other things, She is a Doula, Yoga teacher, Artist, Herbalist in training and musician. She carries a deep love for the earth and its wisdom in all she does, and is deeply devoted to the healing and evolution of humanity.